No more procrastination with writing a novel anymore! 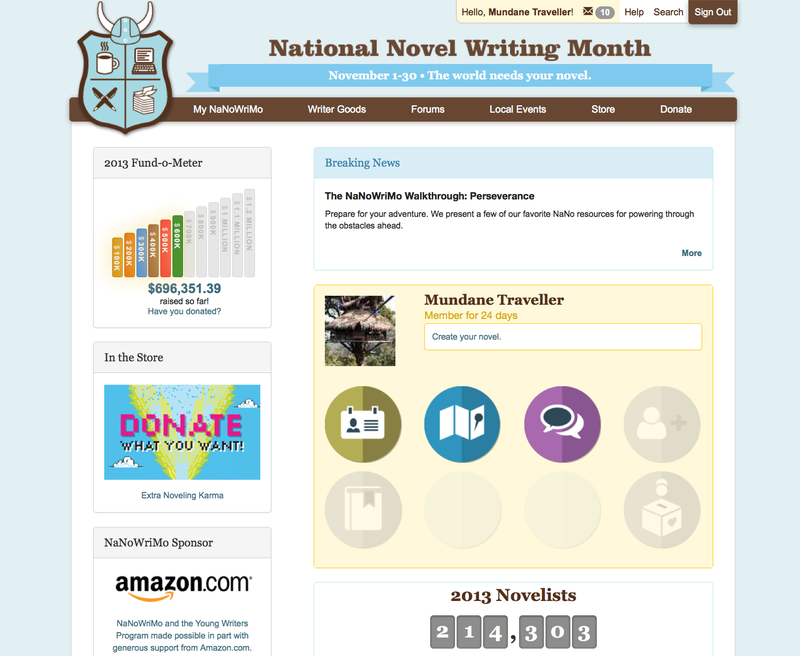 I am participating in the National Novel Writing Month. Which actually is more of an international event now. The main goal is to write a 50000 words novel. You win, if you have finished writing 50k words. And those 50k words are the only criteria to be a winner! I leave you alone now, as I need to write my first few words of my first novel. Just ping me when you see me. ← Luggage systems: Backpack or trolley? This is (not) the question.